ELMEER, Ricky T. L. Spouse of Karen. Born 5-7-1952, died 8-28-2015 - Son of Sixten and Diane M. Elmeer, born, lived and died in Jamestown NY. No children named. GROVER, Charlotte L. (Stow). Spouse of James R. Born 6-23-1948, died 3-15-2018. Age: 69 - Dau of Frank and Grace (Saxton) Stow. 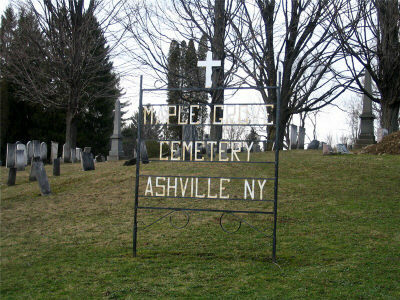 Born in Jamestown NY, lived and died in Ashville NY. A teacher's aide for over 30 years.Wed 6-22-1974, three sons. GROVER, James R. Spouse of Charlotte L. Stow. Born 6-20-1943, died 1-26-1993. Age: 52 - Wed 6-22-1974, three sons. HARDING, Diana D. (Dillinger) Spouse of Gary. Born 9-05-1944, died 5-10-2001. Age: 56 - Dau of Joseph E. and Margaret Allene (Trask) Dillinger. Raised by Leslie and Margaret (Dillinger) McGrath, born in Jamestown NY. Two sons. HUDSON, Clayton L. Spouse of #1 Julia P, #2 Evelyn (Frontuto) Brown. Born 8-15-1916, died 3-30-2007. Age: 90 - Son of Joseph and Ethel (Bush) Hudson. Wed Evelyn 7-19-1986 - WW II Vet, US Army Air Force, Lt. Col. B-29 navigator in WW II. LORD, Betty J. (Seeley). Born 1-25-1933, died 4-6-2018. Age: 85 - Dau of Charles and Marjorie (Morey) Seeley. Born in North Clymer NY, lived in Ashville NY. Four children, father not named. SEELEY, Michael E. Spouse of Nicole Olson. Born 9-30-1973, died 2-9-2018. Age: 44 - Son of Wayne R. and Marilyn J. (Walrod) Seeley. Born and lived in Jamestown NY, died in Cleveland OH. Law Enforcement. Wed Nicole 10-15-2016, two children.